The 2018 Draft is in the books, with 1,214 players taken over three days and 40 rounds. Here's a deeper dive. The 2018 Draft might be over, but the pool of prospects selected this year includes plenty with MLB connections. The Draft concluded Wednesday with Rounds 11-40. Here's a look at some players taken in this portion of the Draft. Four days after winning the High School Home Run Derby as part as the All-Star Game, Bobby Witt Jr. seized the spotlight again. 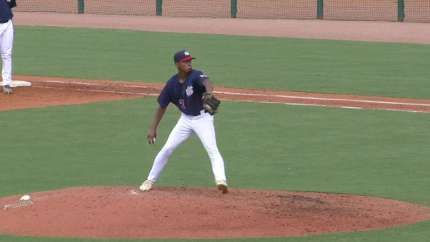 The collegiate 'boys of summer" meet the scouts seeking tomorrow's professional baseball players. The scene was Lexington County Baseball Stadium Monday in the town of Lexington, South Carolina, where this unique partnership took place. Going into Friday's 5 p.m. ET deadline unsure of first-round Draft pick Shane McClanahan's signability, the Rays came to an agreement with the left-handed pitcher, who was the 31st overall pick in the 2018 Draft. Three 2018 first-round Draft picks did not sign by the deadline, marking the highest total since 2010. 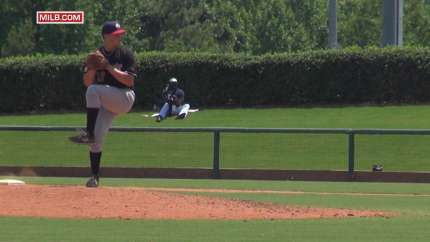 Concerns about a wrist ailment prevented the Braves from reaching an agreement with first-round pick Carter Stewart before Friday afternoon's deadline. The D-backs have been told that shortstop Matt McLain, their first pick in the 2018 Draft, will not sign with the team, a baseball source confirmed. 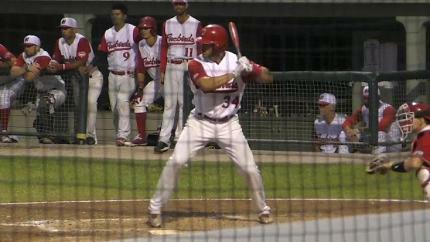 The Brewers officially signed first-round Draft pick shortstop Brice Turang on Thursday night. The two sides had until 4 p.m. CT Friday to come to terms on a contract. J.T. Ginn, the Dodgers' first-round selection (30th overall) in last month's MLB Draft, posted a message on Twitter on Thursday indicating he has decided not to sign with Los Angeles and instead will pursue collegiate baseball at Mississippi State University. For San Diego Padres first-round pick Ryan Weathers, the journey to the big leagues started when he was just three years old. The Royals announced Tuesday they have signed first-round Draft pick Brady Singer. The Indians announced Tuesday that they have signed three picks from the 2018 Draft, including their top two selections. 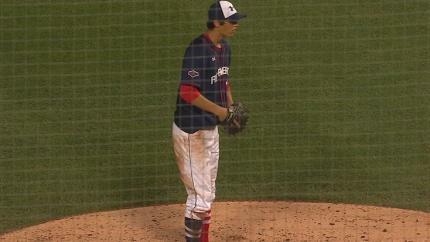 The Nationals announced Tuesday it has agreed to terms on a contract with 2018 first-round Draft pick Mason Denaburg, the 27th overall pick in this year's Draft. The Chicago White Sox have signed infielder Nick Madrigal, their first-round pick (No. 4 overall) in the 2018 MLB Draft, to a Minor League contract with a $6,411,400 signing bonus. The Reds have agreed to terms on a contract with 2018 first-round Draft pick third baseman Jonathan India, a source confirmed to MLB.com on Sunday. The deal is pending a physical, which is expected to be taken soon. Osiris Johnson made a spacious Marlins Park look small during Monday's batting practice, giving players and management a reason to stop everything and get a glimpse of the future. The Tigers have been anticipating Casey Mize in the Old English D since the spring. As the top overall Draft pick put on the cap and slipped on the jersey Monday afternoon in a news conference announcing his signing, Detroit's rebuilding effort received a major boost. 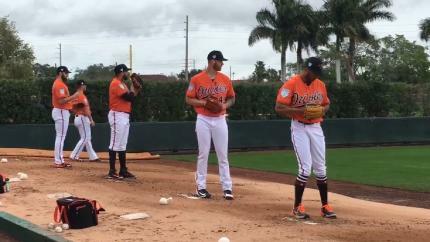 Casas takes swings at Fenway, chats with J.D. Triston Casas' first steps onto the field at Fenway Park as a member of the Boston Red Sox organization fell in stride behind J.D. Martinez. Drafted by the Red Sox with the 26th overall selection, the 18-year-old proved wise beyond his years by taking full advantage of his access to one of MLB's best home run hitters. Joe Gray Jr. signed a contract to play professional baseball on Friday, and when he came to Miller Park, the thing he was most excited for was to meet Brewers left fielder Christian Yelich. For some, being labeled as the best player in the country is a burden. For Bobby Witt Jr., it's a spotlight he willingly steps into. For quite some time, at least since his Tournament of Stars performance as an underclassman here a year ago, he's been thought of as the top player in the 2019 Draft class. He wears it as a badge of honor, one he does not want to relinquish. Will Banfield is ready to get to work. Selected with the 69th overall pick in the 2018 Draft, Banfield on Thursday officially signed with the Marlins. 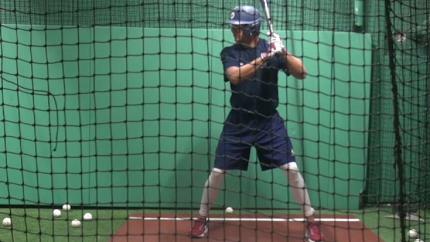 The 18-year-old catcher from Brookwood (Ga.) High School will now get down to business and begin working with the organization's Gulf Coast League team in Jupiter, Fla. Potential No. 1 Draft pick Bobby Witt Jr. joined the Pipeline Podcast to discuss the Tournament of Stars and more. 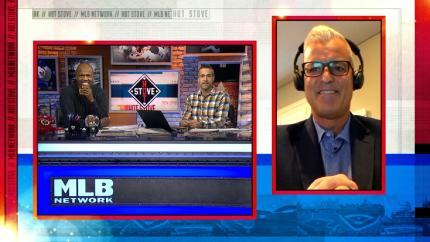 Jim Callis, Jonathan Mayo and Tim McMaster also discuss the College World Series and sit down with USA Baseball U18 National Team Director Matt Blood to discuss the TOS. 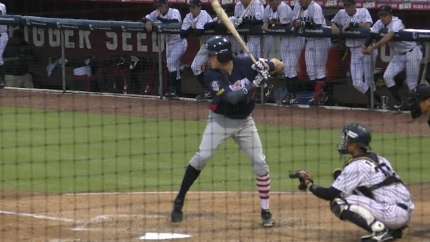 In Alek Thomas' first game as part of the D-backs' organization on Monday, the 18-year-old outfielder knocked out three singles and drew a walk for Arizona's Rookie-level affiliate. Jordyn Adams, the Angels' first-round Draft selection this year with the No. 17 pick, officially signed with the club on Tuesday. Adams will start play in the rookie-level Arizona League beginning Wednesday.